Independence Run and Hike Is Going Nordic! Independence Run & Hike is going Nordic this Winter! We are excited to be carrying some excellent cross country skiing products from Salomon, Fischer, and Swix and more. We will have rentals, demos, apparel, tuning equipment, and more! We are known for being the fit experts with shoes and we plan to take that same detail oriented approach to cross country ski gear. 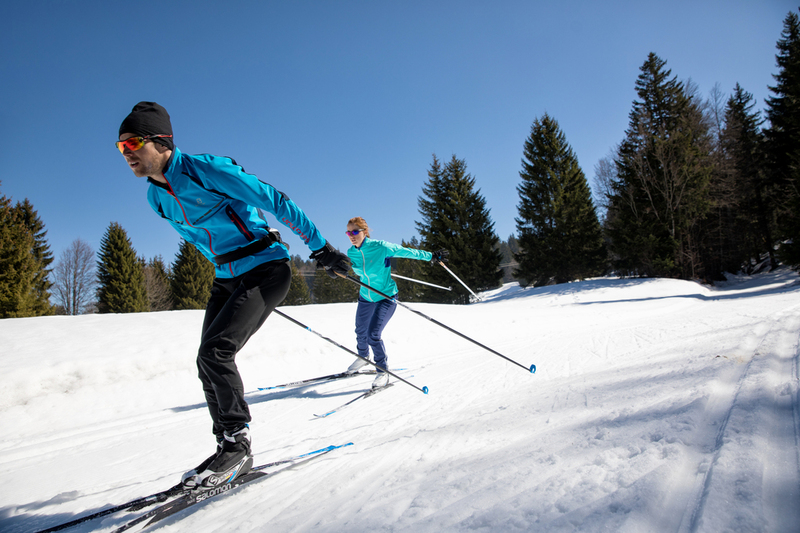 We will be a full service XC ski shop with a wide selection of wax and tuning products from Swix, and apparel from great brands like Salomon and Swix. Cripple Creek Backcountry is partnering with us to provide our customers an expert Nordic waxing and tuning service. We will also have some great demo and rental cross country skis in from both Fischer and Salomon so that you can try before you buy. Stay tuned for more info on fun events, great deals, products, and specials! READY TO GIVE IT A TRY? RENT NORDIC SKIS TODAY! The Roaring Fork Valley is a fantastic place to cross country ski. With over 100 kilometers of free trails there is no shortage of terrain to explore. Below are a few of our favorite areas to ski. Located on the Thompson Divide just a few miles outside of Carbondale, the Spring Gulch Trail System is a network of 21+ kilometers of professionally groomed cross-country ski trails. Spring Gulch has something for every cross country skier – from greenhorn to old hand – in the 21+ kilometer (13.13 mile) trail system. Those just finding their feet on “skinny skis” will find Lazy Eight to be just the ticket. Rafter T leads those in search of a longer sojourn and spectacular views to Holdens or Finlandia. North Star brings you to a peaceful aspen grove. And, if excitement is your goal, Highball and Big Dipper are for you. In 1971, the White River National Forest issued a unique special permit and Ashcroft became the first self-sustaining cross-country ski area in the United States. Located 12 miles above Aspen in the upper reaches of spectacular Castle Creek Valley, the ski area offers excellent terrain for all levels of Nordic skiers. Thirty-five kilometers of meticulously groomed trails wind across 600 acres in the sub-alpine valley surrounding the Ghost Town of Ashcroft, a turn-of-the-century mining town designated on the National Register of Historical Places. At an elevation of 9,500 feet Ashcroft Ski Touring offers fantastic snow conditions and unparalleled scenery. The Aspen Snowmass Nordic Ski Trail System is one of the largest free trail systems in the country! This Nordic system has something for all levels. The golf course is a fantastic place for beginners, offering kilometers of flat easy trails. The Owl Creek trail, which runs between Aspen and Snowmass, is a more challenging section, with lung busting climbs and exciting descents, this trail is a real treat for experienced skiers. This is a beautiful backcountry trail right outside of Carbondale. The trail winds up through Aspen groves to a saddle that offers up views of Mt Sopris. Once you crest the saddle you can continue out on the Thompson Divide for miles on end. It is typically very quite with only the occasional snowmobile passing by. Best of all, because the trail is not in a designated ski area you can bring along your furry friend. While this trail is not regularly groomed, the snowmobile club does take a groomer up there from time to time.